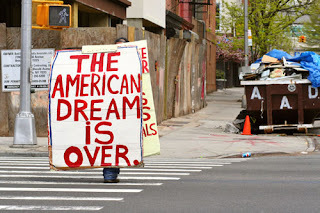 Americans leaving U.S. Dream in record numbers rose up: Ever dream of leaving it all behind and heading out of America? You’re not the only one. 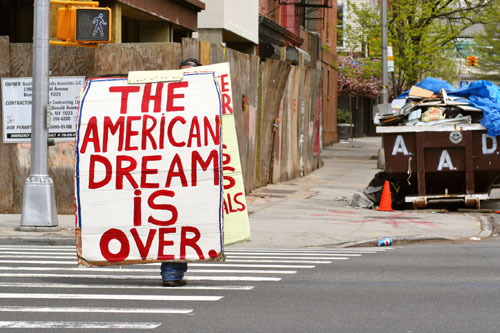 A new study shows that more US citizens than ever before are living outside of the country. According to statistics from the US State Department, around 6.4 million Americans are either working or studying overseas, which Gallup says is the largest number ever for such statistic. The polling organization came across the number after conducting surveys in 135 outside nations and the information behind the numbers reveal that this isn’t exactly a longtime coming either numbers have skyrocketed only in recent years. In the 24 months before polling began, the number of Americans between the ages of 25 and 34 living abroad managed to surge from barely 1 percent to over 5.1 percent. For those under the age span wishing to move overseas, the percentage has jumped in the same amount of time from 15 percent to 40.While the United States of America was at one point (and largely still is) a magnet for foreigners in search of work, the statistics makes it clear that an opposite trend is quickly picking up steam. "There's a feeling among more entrepreneurial Americans that if you really want to get anything done, you have to get out of country and away from the depressing atmosphere," Bob Adams of America Wave tells Reuters. “There's a sense of lost direction, so more people are looking for locations that offer more hope about the future." Many of those leaving the US have job skills that would transfer quite well in the American market. Instead, however, they chose to bring those out of the States, attracted instead to opportunities elsewhere. While America offers some employment opportunities unmatched outside of the United States, the country has also seen dire economic statistics since the dawn of the Obama administration, with jobless benefit claims soaring in recent months, and only last week did the Department of Labor reveal an unemployment statistic below 9 percent. On the contrary, the number of Americans that want full-time work and have given up on finding it or unable to locate it is closer to double that figure, while at the same time many of America’s largest employers have outsourced positions across the globe. Banking giant Goldman Sachs announced earlier this year that in the wake of a recession, they would finally be creating 1,000 new positions, yet making them available only to workers in Singapore.